I am going all out and giving you two Streaming Picks this week. One that is topical because it inspired a long awaited horror movie finally being released this week, and another that is one of the best horror movies you probably have not seen from a brilliant director. One of the sickest, most depraved, vile and graphic movies you will ever see. This movie is so disturbing that when it was first released it was banned in many countries and it’s director Ruggero Deodato was arrested and charged with murder of the actors in his film. Once they appeared in court the charges were dropped but that is how shockingly violent Cannibal Holocaust is. I selected it because it is the movie that inspired Eli Roth’s long delayed The Green Inferno finally getting a wide release this Friday. 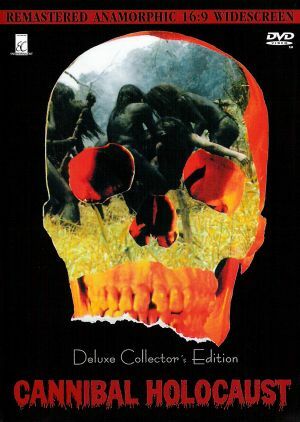 If you plan on seeing that why not see the vulgar carnage that inspired the new film, in fact, the characters in Cannibal Holocaust refer to the Peruvian jungle as “the green inferno” at least a half a dozen times throughout the movie. If you watch Cannibal Holocaust, be warned it will challenge your morals and your senses by forcing you to question if you should even be watching what is on the screen. From writer/director David Cronenberg, one of the greatest masters of horror of the last thirty-five years comes his bizarre story of a man trying to protect his daughter and help his institutionalized wife while trying to deal with her very unconventional psychiatrist. All of the main characters in The Brood are not entirely what they appear to be and when murders occur at the hands of mysterious children in snowsuits we soon learn that nothing is off limits in this twisted and intelligent supernatural horror film. 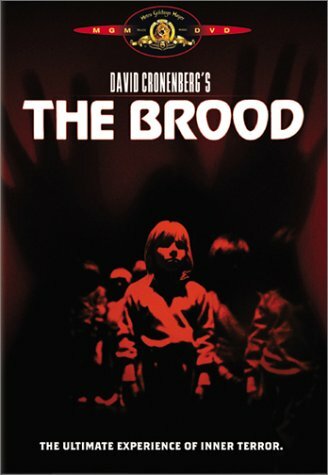 Seek The Brood out, it ranks among Cronenberg’s best work and (very minor spoiler ahead) you will be able to tell he wrote this while he was going through a divorce. It is a unique horror movie that will absorb you and will leave you chilled. A great underrated movie that you will not forget. Both Cannibal Holocaust and The Brood are available to stream through Hulu Plus.